This model is built in 32 bit assembly language and runs on any Windows PC. 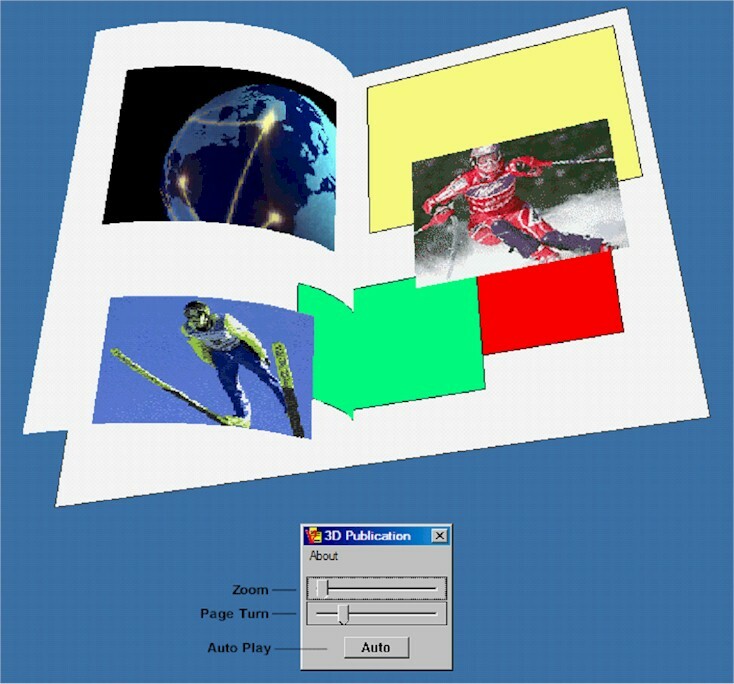 This research model demonstrates continuous updating of the display while the orientation and zoom of the page turning publication is changing in real time. The model automatically changes its orientation and zooms in a continuous flow while the page is turning. The moving video (globe.avi) on the page demonstrates that it is being refreshed and re-laid out each time the operating systems calls for a display update. The animation can be stopped at any time by clicking ‘Auto’ at which time the page can be turned and the publication zoomed manually.